Lady suffers wound complications following negligent hospital care post ankle surgery. Our client, Miss S received negligent post operative care following ankle surgery, which lead to various wound complications. As a result, Miss S had a further three surgical procedures which she otherwise would not have had and suffered with numerous symptoms while her ankle slowly recovered. Miss S was referred to a consultant by her GP after complaining of pains in her ankle. Miss S underwent ankle surgery to help improve this, with the procedure itself going relatively well. After the operation, Miss S was given instructions to keep her leg elevated and to reduce the dressing and replace it with Tubigrip after 48 hours. Miss S was advised to commence routine full-weight-bearing walking with a plaster shoe and to avoid any strain on her leg for six weeks. Miss S was discharged with a plaster shoe on her foot, however was not provided with any crutches by the hospital or given any advice as to whether she should be weight bearing or not. By the time she had returned home, her bandage was sodden with blood. The next evening Miss S attended Maidstone A&E and the wound was redressed. It was later suggested by the surgeon that the dissolvable stitches were pulled out in error when this was done. The A&E staff found that the wound had opened and recorded that the plaster shoe was inappropriate as the back corresponds with the wound. Miss S was then given crutches and was told not to bear any weight on her ankle. Miss S was then told at a clinic appointment that the wound would need to be cleaned, washed out and re-stitched in theatre. This was done and a backslab was applied to protect the wound. The wound was washed out again 4 days later, a backslab was applied again and Miss S was advised to mobilise and have partial weight-bearing and elevation of her leg. Three days later however, Miss S’s leg was swollen and painful. The GP sent the nurse to assess the wound and Miss S was prescribed antibiotics. She attended A&E that evening and she was feeling generally unwell and had a fever. The wound had become infected and Miss S was prescribed antibiotics to treat the infection. After seeing the surgeon, it was decided that Miss S needed to have the stiches and then dead tissue removed, the wound washed out and VAC dressing applied. Following this procedure, Miss S was advised to elevate her leg and continue with the antibiotics. Miss S was then referred for plastic surgery and a VAC dressing was applied once again following this operation. Miss S’s wound continued to heal, however she continued to suffer with ongoing symptoms as a result of the hospital’s failure to treat the wound properly. Miss S struggled with work and was only able to wear certain types of footwear that felt comfortable. Miss S contacted Jonathan Herbert at Thomson Snell & Passmore LLP who investigated the claim and highlighted numerous breaches of negligence in Miss S’s post operative treatment. Jonathan successfully negotiated an out of court settlement to compensate the claimant for the poor treatment that she received. 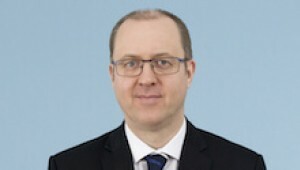 Jonathan Herbert specialises in post operative negligence cases. If you would like to ask Jonathan a question about a potential case, or if you have a general query about any personal injury, contact Jonathan at Thomson Snell & Passmore solicitors on 01892 701226 in confidence.